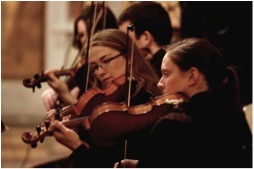 Founded in 1981, the Dublin-based Hibernian Orchestra (formerly the Hibernian Chamber Orchestra) is now recognised as the leading voluntary orchestra in Ireland. The players come from a variety of backgrounds: as well as music teachers and music students, the orchestra includes many pre-professionals, musicians pursuing other careers and, increasingly, players who were trained across the world and who now reside and work in Ireland. What unites the members of the ensemble is their love of classical music and their commitment to the highest possible performance standards. The orchestra has a demanding schedule and prepares between four and five programmes each season based on weekly rehearsals that take place between September and June in St Louis' High School, Rathmines, under the baton of artistic director, John Finucane. The orchestra's repertoire stretches across the musical spectrum, ranging from early works to newly commissioned pieces. 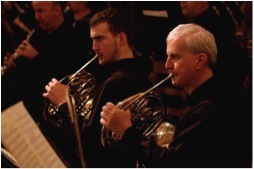 The orchestra performs extensively in Dublin and increasingly is bringing music to regional towns across Ireland.The 2009-2010 season sees the orchestratouring to Wexford Opera House (O'Reilly theatre) in November and Kilkenny in March. The list of artists who have performed with the Hibernian Orchestra is impressive and includes many of Ireland's most famous virtuosi, including Finghin Collins, Philip Martin, Catherine Leonard, The Cashell Trio (Anna, Ben and Sophie Cashell), Nicola Sweeney and Iona Petcu-Colon. In the current season (2009?10) our list of soloists includes Cora Venus Lunny (violin), Peter Whelan (bassoon) and Michael McHale (piano). 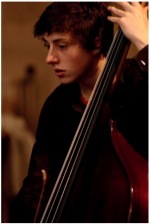 The orchestra is also committed to providing a platform for the next generation of soloists and has given early solo opportunities to many of Ireland?s most talented young musicians. The orchestra's efforts to bring classical music to the city of Dublin are generously supported by Dublin City Council.